Prambanan Temple, located in Yogyakarta, is a 9th-century Hindu temple compound dedicated to the Trimurti, the expression of God as the Creator (Brahma), the Preserver (Vishnu) and the Destroyer (Shiva). 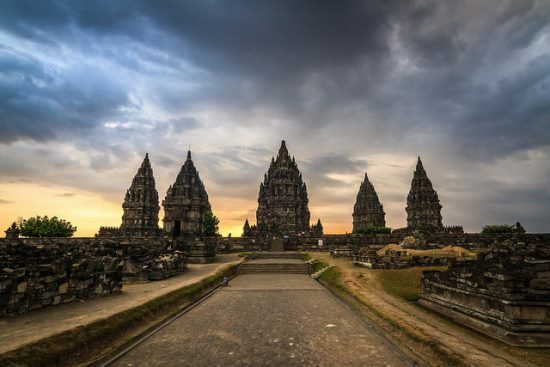 As the largest Hindu temple in Southeast Asia, the beautiful and elegant Prambanan temple is a magnificent spectacle and icon of Indonesia’s cultural heritage. 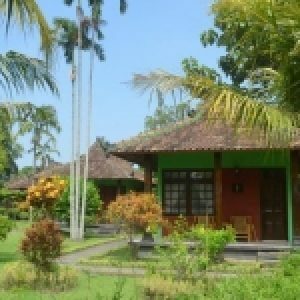 Located not far from Borobudur Temple, the proximity of both temples tells us that in Java, Buddhist and Hindu live peacefully side by side with each other. Prambanan is known locally as Roro Jonggrang, derived from the legend of ‘slim virgin’. According to legend, once upon a time there was a young and strong man named Bandung Bondowoso. She wants to marry a beautiful princess named Roro Jonggrang. His father, the king, agreed and forced him to marry Bandung Bondowoso. But she does not love her but can not resist. After careful consideration, she thought of a way to reject Bondowoso, who possessed a famous magical power. She decided she would agree, only if Bondowoso built 1,000 temples in one night before dawn. She insisted that work should be completed before the rooster crowed, something he believed was impossible. But with the help of the genie and his own magical powers, Bondowoso successfully completed 999 temples. Being panic, Jonggrang told the women of his village to start pounding the rice so the chicken would wake up and start crowing. When Bondowoso heard this he was very disappointed and angry. When he discovered that Roro Jonggrang had made a rooster crow, he turned it into stone, The statue of a slim virgin adorns the main Prambanan Temple, while the nearby temple group is called Sewu means in the local language “Thousand Temples”. One of the best time to go to Prambanan is during sunset. 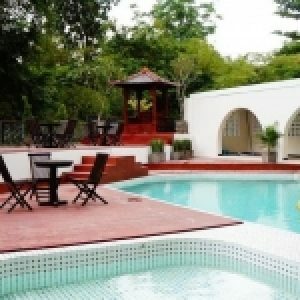 Lovely sunset view is great for your romantic experience, with your spouse. Be aware, during the sunset, the admission ticket is sold higher. So better you came before sunset (4 PM). From May to October on the full moon, the classical Javanese Ballet Ramayana or dance drama performed by over 250 dancers on outdoor open stage with the background of a full moon dramatically rises above the temple. The Ramayana epic tells the story of Prince Rama and his wife Sita who roam the forest. When Rama saw the golden deer he chased her, but not before drawing a circle around Sita. He tells her not to step out of the circle to stay safe. The giant king of Ravana lures Sita out of the circle, kidnaps and takes him to his kingdom, Alengka. Rama’s sadness is helped by the monkey king, Hanuman., Who finds Sita at Ravana’s court. She burns Alengka and Sita is saved and returned to her husband. Compared to the temples at Angkor Wat, Prambanan temple is easier to navigate and more tourist-friendly. 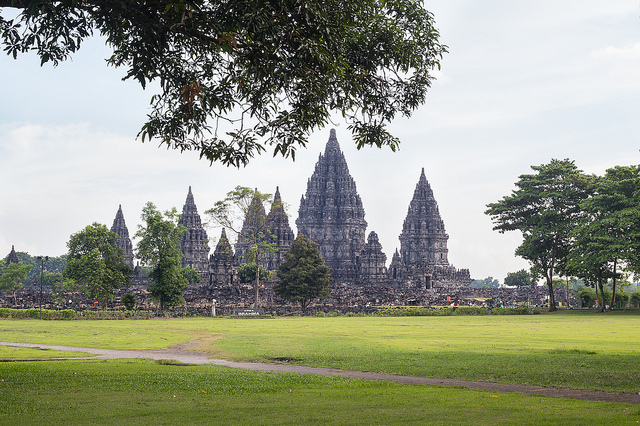 The area around Prambanan is developed, with parks and shops that selling local souvenirs. Although it is not a temple set in a remote rural setting, the splendor of the temple will make you quickly forget about your surroundings. You will be brought back to ancient times where rituals and cultures dominate every part of life. The cities closest to Prambanan can be either Yogyakarta or Semarang. Garuda Indonesia, Mandala, Merpati Nusantara Airlines and a number of domestic airlines fly to cities from Jakarta and other major cities in Indonesia. AirAsia is the first international airline to fly directly from Kuala Lumpur to Yogyakarta. 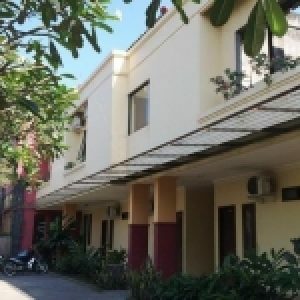 From Yogyakarta, you can rent a car to go to Klaten. From there, you can walk to the temple. If you are busy and really tired of walking, you can call a rickshaw. At a cost of about Rp10.000 a pedicab will take you to the gate of the Temple, not far from the ticket box. From Prambanan Temple, we can also reach Sewu Temple and Lambing Temple by walking.